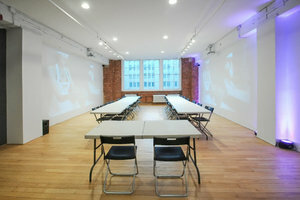 This amazing venue offers the perfect, trendy venue for any small-to-medium size event. Located in the heart of Chelsea, just steps from the High Line, this space sits in a landmarked, historical building that's not only vintage but beautiful. 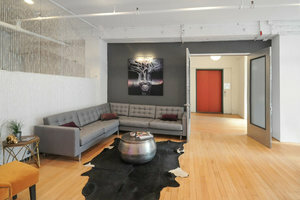 It is on the 3rd floor directly across from a large elevator and includes a semi-private office. 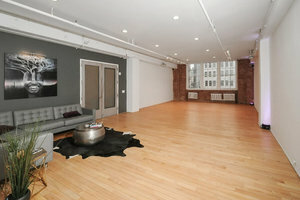 It is perfect for parties and it can accommodate 60 people. 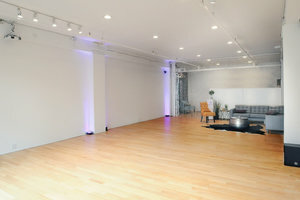 This space has a sound system and wall uplighting that will provide the atmosphere your guest will most definitely enjoy. The lounge area, with trendy couches and interesting decor, will provide a chill area for your guest to hang out and relax. All the wireless sound will allow you to control the music from anywhere in the room using a phone or iPad. This feature will allow you to constantly adjust the mood.